WESTFORD - Susan J. DiAngelo, age 55, of Westford, passed away unexpectedly on Wednesday, June 13, 2018 at Lowell General Hospital. She passed peacefully, surrounded by her family. Susan was born in Arlington on July 17, 1962, a daughter of Frederick Walsh of Ashby and Jane (Henry) Walsh of Marlborough. Susan graduated from Marlborough High School and received her Associates Degree in business from Becker College where was named the Valedictorian of her graduating class. For twenty-seven and a half years, she was the beloved wife of Richard J. DiAngelo. In her earlier years, she worked for Raytheon for many years and went on to be a homemaker to her family. After raising her family, she was employed as a school bus driver for the town of Westford, which she enjoyed for many years. Susan was a loving, dedicated wife and mother who enjoyed cooking, gardening, classic cars, and spending time with her family. 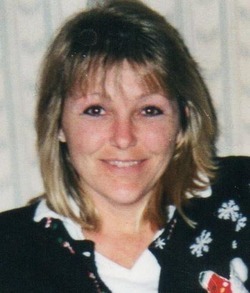 Besides her husband, Richard, and her parents, Jane and Fred, she is survived by her two children, Rachel and Ricky DiAngelo, both of Westford; her three siblings, Sandy Walsh of Lunenburg, Michael Walsh of Marlborough, and Steven Walsh and his wife, Brenda, of Hudson, MA; also several aunts and uncles and many cousins, nieces and nephews. To share your thoughts and memories of Susan, please click the sign guestbook link.